THINK was the 1st in a series of 6 Litter Letters projects. 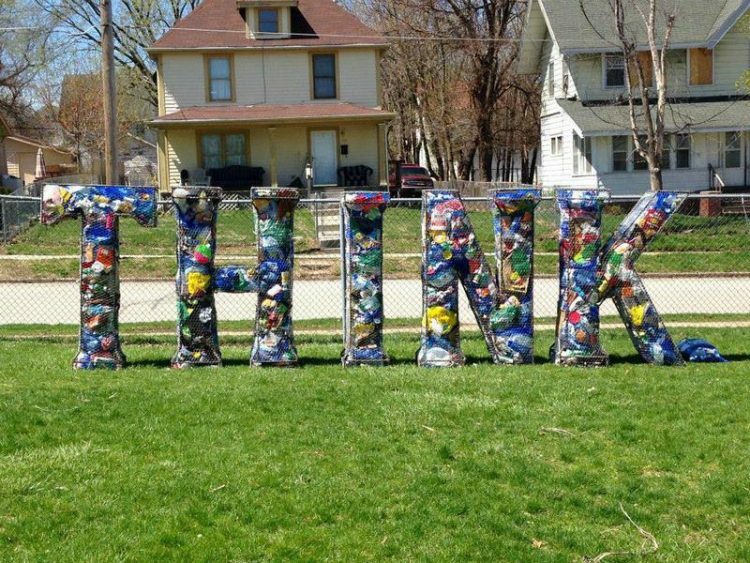 The letters are filled with litter and displayed in a public location to bring awareness to the problem of litter. The original concept was the idea of Rachel Hatley. To learn more about this project, go to http://www.thelitterletterproject.com.